Pure Prairie League is one of the earliest and most successful country rock bands in history.Pure Prairie League and The Eagles are the two groups most often credited with bringing the country rock genre to a national music audience. PPL's roots can be found in Waverly ,Ohio from 1964-1969 where singer/guitarist/songwriter Craig Fuller, drummers Tom McGrail and Jim Caughlan, and pedal steel phenom John David Call all resided. The guys played in various bands together in their teen years, among them The Swiss Navy and The Omars. PPL's roots can be found in Waverly ,Ohio from 1964-1969 where singer/guitarist/songwriter Craig Fuller, drummers Tom McGrail and Jim Caughlan, and pedal steel phenom John David Call all resided. The guys played in various bands together in their teen years, among them The Swiss Navy and The Omars. The band ultimately located itself in Columbus, Ohio (sixty miles north of Waverly), and had it first success in Cincinnati. The original stage band was Fuller, McGrail, Powell, Phil Stokes on bass, and Robin Suskind on guitar and mandola. His steel guitar greatly improved the country songs and sparked hot guitar duels with Fuller that contributed greatly to the rock/country, signature sound of the band. PPL's biggest hits include Fuller's country rock classic, "Amie", ?Two Lane Highway?, and the musically less-representative pop song, "Let Me Love You Tonight", composed by Jeff Wilson, Dan Greer and Steve Woodard. Vince Gill, later to become one of Nashville's biggest solo stars, sang and played guitar with the band in the early 1980s and recorded an updated version of "Amie" for their greatest hits album. In the late 1990s PPL was back with a lineup of Fuller, Connor, Reilly, Burr, Fats Kaplin (pedal steel guitar, mandolin, banjo, fiddle, accordion, washboard) and Rich Schell (vocals, drums, percussion). After two years, in June 2000, Burr was succeeded by Curtis Wright (vocals, guitars). The group began work on a new album in 2002, but abandoned the sessions and separated once again (probably due to the illness of Connor). Connor died on September 9th, 2004 after a long battle with cancer. 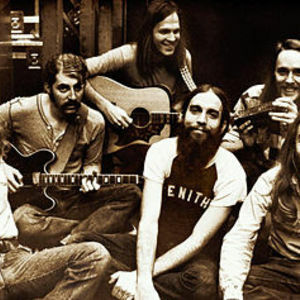 Following Connor's death, the group resumed touring once more in 2004 with Fuller, Reilly, Schell, Wright and Kaplin (when available), and released All in Good Time in 2005, their first album in 18 years. This release appeared on the small Drifter's Church label. Since this time, PPL have continued to tour playing a handful of shows every year. Reilly was unable to continue in 2006 after he was forced to undergo a liver transplant. Jack Sundrud (from Poco) came in to sub for Reilly, and Rick Plant also briefly did a stint on bass (before relocating to Australia in late 2006). Sundrud then returned. Reilly appeared at a few shows in May 2007, playing guitar, but was unable to come back full-time until 2008. Jeff "Stick" Davis (from Amazing Rhythm Aces) sat in on bass for Mike in 2007. Call played some concerts in 2006 & 2007, standing in for Kaplin, and Donnie Clark replaced Curtis Wright in 2006, after Wright joined Reba McEntire's band. A fourteenth album was released in 2006, composed primarily of Craig Fuller songs, an echo of their very first album back in 1971.